CGX is a Canadian oil and gas exploration company that holds three licenses in the Guyana – Suriname basin, formed in 1998 by John Cullen and Guyanese Edris Dookie (who is no longer with the company). The company is pursuing the Equatorial Atlantic Margin Play analogous to West Africa and Brazil and is fully funded for two offshore wells that will test multibillion barrel potential. The three licenses held are “New Demerara Petroleum Agreement”, “New Berbice Petroleum Agreement” and “Corentyne Petroleum Agreement” acquired in 2012 and 2013 from the Government of Guyana. Two wells were drilled on the Corentyne block license however were later abandoned as a dry hole and for safety concerns. The company is currently surrounded by oil majors and are operating on the Corentyne and Demerara block offshore Guyana in close proximity to the Liza discovery made by oil giant Exxon Mobil. Named in 2011 as one of Canada’s Top 40, Under 40 Leaders, is originally from Guyana. Professor Narine has an impressive academic career that includes numerous awards including the prestigious “Growing Alberta Leadership Award for Innovation” received in 2005 for pioneering the development of technology to produce polyurethanes from vegetable oils among many other accomplishments. Also in 2005, Professor Narine accepted a presidential appointment as the Director of Guyana’s Institute of Applied Science and Technology (IAST), a role which he maintains, together with his academic appointment as Senior Professor for Trent University, his alma mater, in the Departments of Physics and Astronomy and Chemistry and as Director of the Trent Centre for Biomaterials Research. 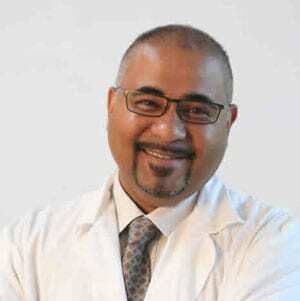 Professor Narine is currently the Ontario Research Chair in Green Chemistry and Engineering and the NSERC/GFO/ERS Senior Research Chair in Lipid Derived Biomaterials. For his work in the development and commercialization of biofuel technology in Guyana, Professor Narine was awarded the Guyana/Canada Special Achievement Award in 2007 and in 2011 he received an award from Guyana for his contributions to Science and Technology in Canada and for his contributions in this field towards the development of Guyana. Professor Narine will be involved in establishing Guyana-based training programs for skilled–labor and management and in guiding CGX activities related to social responsibility and impact. Articles about CGX Energy Inc.